The research carried out between 2000 and 2014 along the northern coast of the Arabian Sea in Lower Sindh and Las Bela (Balochistan, Pakistan) has shown that the two regions started to be settled during the last two centuries of the 8th millennium BP. The sites consist of shell middens, shell scatters and fishermen villages, many of which were sampled for conventional and AMS radiocarbon dating from mangrove and marine shells. So far 95 sites have been AMS (GrA-) or conventionally (GrN-) radiocarbondated. This paper describes the results obtained from three well-defined macro areas (Lake Siranda, the coastline between Cape Gadani and the Hab River mouth, and the Indus Delta) where the aforementioned research methodology has been applied. 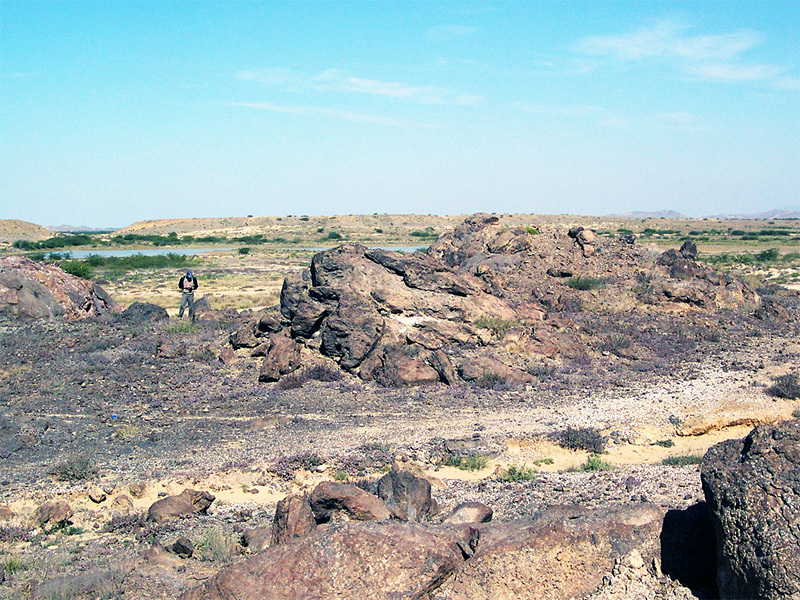 The results contribute to the interpretation of the archaeology of the coastal area of Pakistan and the Arabian Sea, the definition of the sea-level variations since the mid-Atlantic period, the presence/absence and exploitation of ancient mangroves, the dynamic of the Indus Delta advance, and the chronology of the early navigation along the northern coast of the Indian Ocean.